Quick overview An explosive near-future thriller from Fiona Shaw, full of contemporary relevance. No one can get into Scotland, just like no one can cross the channel... England is under the control of an authoritarian regime. They can track anyone, anywhere, from a chip implanted in their skin. But Jake, who breaks out of the Academy dorm hes been housed in, has decided to escape. To go off-grid. To join a small group of independent spirits determined to keep out of the governments prying eyes. 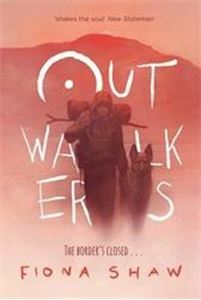 The Outwalkers. Its only together hell be able to reach Scotlandand safety.